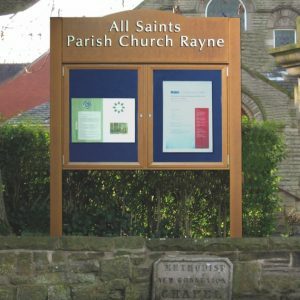 Your new church notice board presents an image of your church to your local community. It is important to thoroughly work out your proposals, especially for a church which is a listed building or in a conservation area. 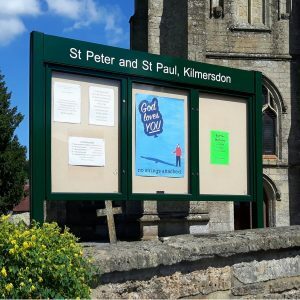 If your new church notice board needs to be approved by a committee, make sure that your proposals are clearly illustrated for committee members who may not be familiar with the building. Printed catalogues can be provided so your committee members can circulate them at meetings. 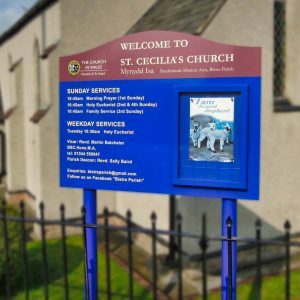 Here’s just a few important factors we suggest you consider before ordering a new church notice board. What is the purpose of your notice board or boards? The most popular purpose is to be an advertisement for the church. Information you might want to include here is who you are and what the church stands for. It can be used to display fixed information such as names and addresses of clergy, details of services and times, opening times and arrangements. You might be surprised how often people find it difficult to find the entrance to some churches, even when they are unlocked! You may wish to announce special services and events, to display public or official notices or citations etc. These messages should be displayed in the noticeboard area where they can be easily updated and replaced. What style should we choose? You can choose up to three noticeboards within the design. These could be used for different purposes and keys allocated to different people. It’s also possible to add “Thumb Locks” which is an alternative to a traditional key lock. Members of the community can add notices and announcements without the need of a key simply by pressing the lock. It’s becoming increasingly popular for one section to be reserved for official notices and is accessible only by key holders, and another noticeboard is open to the local community to post their own notices. The above will help you ascertain whether your noticeboard should be a one multi-purpose notice board design, or whether two or even three boards with different designs and purposes would be beneficial. 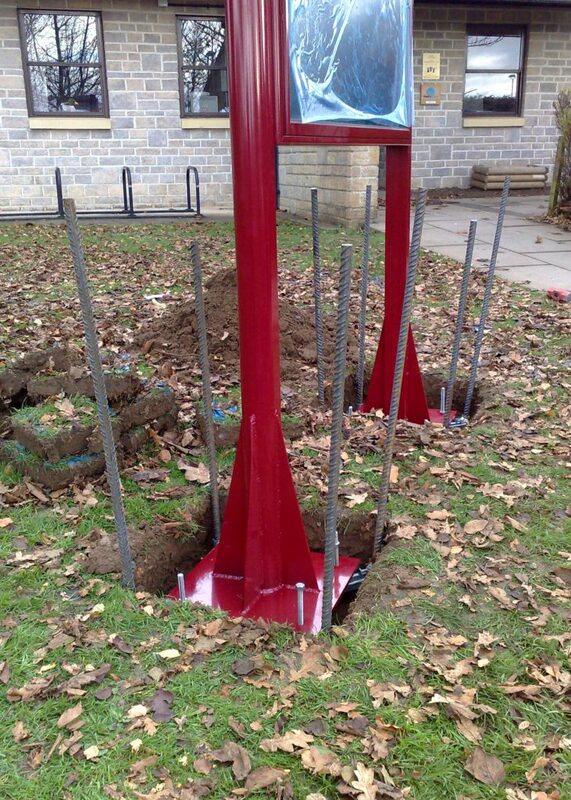 The location of your notice board may call for a specific design or style. For example, a notice board in London may not be the same as a notice board in rural Cumbria. There’s many options to choose from, so take a good look at the variety of designs on offer. Good manners should be observed, and respect paid when within a conservation area. 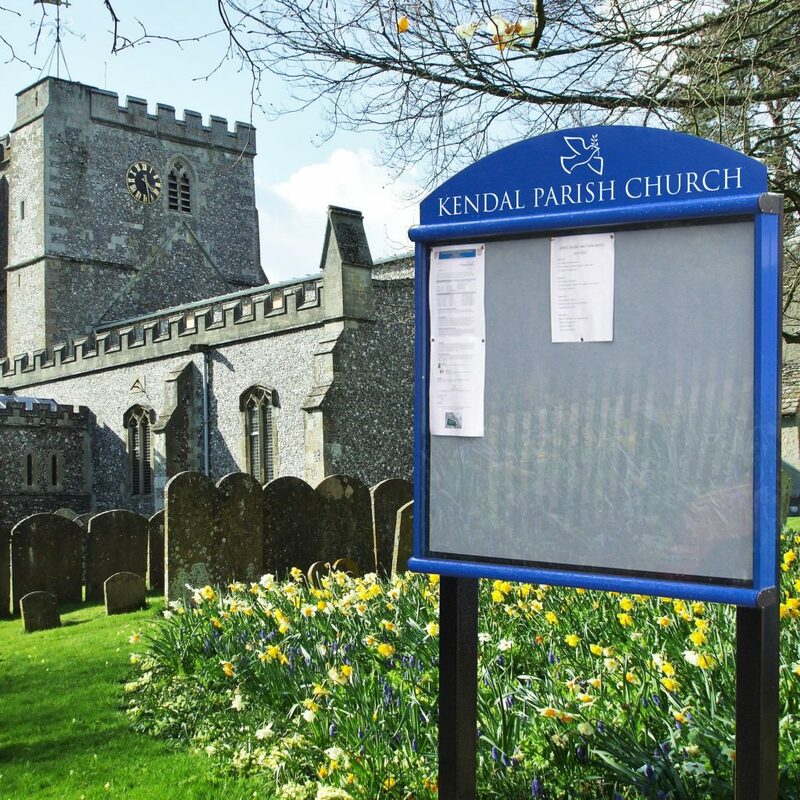 Most of our church noticeboards now have the option of a wood effect finish which is ideal for blending in with the environment. These enhanced finishes have an extended surface guarantee of up to 15 years. Unlike wooden noticeboards that need regular maintenance, a wood effect aluminium noticeboard will give you many years of trouble free use. As standard, all our premium church noticeboards carry a 5 year guarantee. Keep it neat and tidy! It’s worth mentioning that posters and notices that appear within your new church noticeboard should be designed with no less care than the notice board itself. Each type of notice should all be designed in a style related to one another. There’s nothing worse than a new noticeboard with poorly designed or unclear messages inside. What size do I need and where should we install it? Can they be seen without excessive dominance over the road? How fast will the onlooker be moving? A notice board to be seen from a car or a bus will not be the same as one before which the pedestrian may thoughtfully pause. 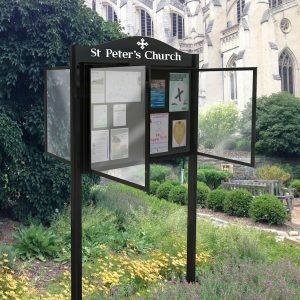 How will the noticeboard appear in relation to the architecture of the church itself, the boundary and railings of the churchyard? The style should be appropriate to your church building and its surroundings. Think about the size and height of each board. 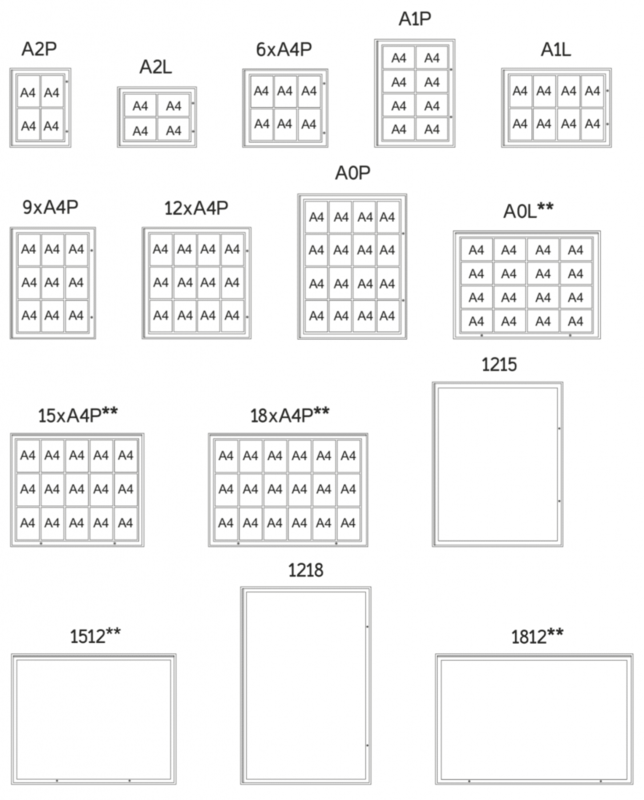 If you are unsure about what size to order a good rule of thumb is to have a think about how many sheets of A4 paper that you need to display on a weekly basis. This will include your official parish or church notices together with allowing ample space to advertise both regular weekly activities and upcoming local events. As our boards are designed to be in situ for many, many years to come the last thing you want to do is rush into buying a board that has insufficient space for your needs. Different rules apply in relation to whether or not planning permission will be required, but you should decide what is right for you then apply for any permissions you may need. Who do I get to install it? You’ll be surprised how many times we have to supply replacement parts because the church noticeboard has been installed badly, or someone has drilled through the weatherproofing and now all the notices are getting damp. You’ve spent a lot of time and money so it would be a shame to damage your new noticeboard. There are many websites available such as Trust A Trader or Rated People where you can read reviews on a tradesman before employing them, alternatively we can offer a comprehensive fully insured installation service. Our installation teams are highly experienced, and we understand the need for the work to be quick, quiet, clean and safe with the minimum disruption. All of our installation teams have PASMA and IPAF certificates for working at height and always adhere to our company Health & Safety procedures. We are members of the Safe Contractors Accreditation Scheme and are fully conversant with the recent DDA requirements.